Do you want comfort and style at the same time? The Silvia 2-seater sofa is a perfect choice for you. It is one of the best sofa options available in the market. The framework of the sofa is sturdy and strong because it is made up of solid wood. 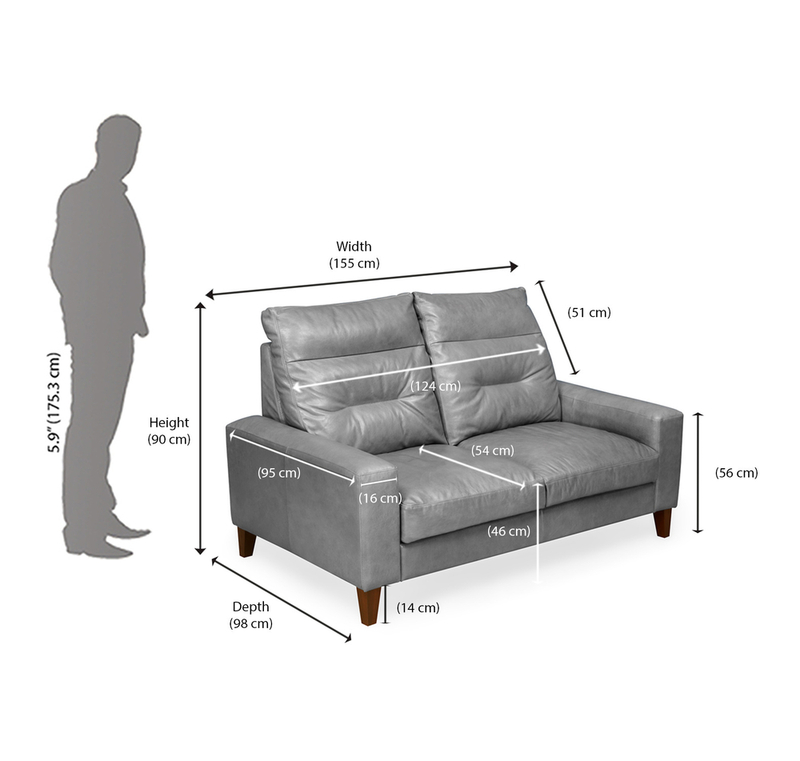 The seating height of sofa is 460mm and the seat is construct with the help of webbing and recron making it comfortable. The zik zag spring technology used in the back construction of the sofa makes it relaxing. It gives out a luxurious vibe as the upholstery is done with leather. The grey color of the sofa makes it easy to blend with the décor of the room. It would simply be one of the best choices for your living room. Buy this beautiful sofa from @home at affordable prices. @home is one of the best online stores for good quality furniture and other home utility products. All the products available on @home are reliable and durable as they are pre-checked. It also provides the facility of customer support staff which is always available to answer all your queries. They provide timely home deliveries and great service. What else do you need? Order this sofa now before it runs out of stock!